When you sell products or services to other businesses, and those businesses don’t pay you on time, or they decide not to pay you at all, this kills your cash flow and can literally put a small company out of business. Therefore, it is critical that when your business sells products or services to other businesses, that you have an effective payment collection system in place to get your clients to pay you on time, and if they don’t pay on time, that you have a debt recovery system in place to collect the money that is owed to you. Here are 4 effective tactics you can utilize in 2017 to help get your clients to pay you on time and to collect debt from those who don’t pay on time. Accept Credit Cards. By accepting payment by credit card you avoid having to deal with a client paying late or not paying you at all, and it provides a way for the client to finance their purchase from you. Then, if the client has financial problems, it is the credit card company’s problem–not yours. Perform Upfront Credit Checks. This is important if your client wants to make a large purchase from you worth thousands or even millions of dollars. You should perform a business credit check to see if that business pays their bills on time and has good business credit. If the client has bad credit, then you should demand upfront payment because they are a credit risk. If they refuse, you should seriously consider not doing business with them. If they have a history of not paying their bills, they probably won’t pay you either, no matter how much they promise you they will. Check Their References. Ask your client for references of other companies they buy from and then call those companies to see if this client pays their invoices on time or if they are usually late or don’t pay at all. If they tell you this client always pays late, but eventually they do pay, then you may want to require upfront payment of either the full amount or maybe half upfront. Or, you may want to talk to your bank to let them know you want to do business with this client, but this client always waits 120 days or 180 days before they pay their invoice. Your bank may be willing to supply you with a credit line so you are able to pay your bills while waiting for your client to pay the money they owe you. 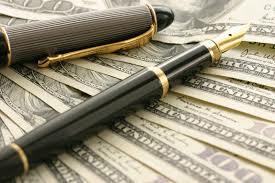 Present a High Quality Purchase Contract. List specific payment due dates and the exact amounts that are due. Discuss these payment terms thoroughly with your client so they clearly understand your payment terms and they agree to them. When creating your purchase contract it is a good idea to have your business attorney review them and make sure they are written to protect you in the event of non payment by the client. If the client is late paying your invoice, be professional and courteous when requesting payment. Whether you use a letter, email, fax, or a phone call, being professional and polite is a much better method for getting your client to pay you than by getting angry and using aggressive and threatening language. Once your client’s invoice has become more than 30 days past due it is time to become more aggressive in your collection language and tactics. This is because the more a debt progresses in the overdue stage, the less likely your client will pay you. Here are some tactics to use for collecting late payments. Send a Certified Demand Letter. A good business debt collection strategy is to let your client know you intend to collect the amount they owe you. A certified payment demand letter is one of the best ways to request payment for an invoice that is more than 30 days past due. It’s a formal way of letting your client know that if they do not pay the money they owe you, that you will hand over their account to either a commercial collection agency or to an attorney. In your letter you may want to offer payment terms, such as allowing them to make partial payments over time, such as a monthly payment program. Make a Follow up Phone Call. Make a phone call a few days after sending the certified demand letter. Let them know you want to resolve this issue and ask them what type of payment arrangement will work for them (pay by credit card, make a series of payments, etc.). Have Them Sign a Written Promise That They Will Pay You. After discussing payment terms with you, send them a payment contract by certified mail that details the payment terms they agreed to and ask them to sign it and email, fax, or mail it back to you. If they refuse to to do this, you know you have a problem on your hands and you will need to hand over their account to a commercial collection agency. If you have sent the client a certified payment demand letter, and you have tried discussing the issue with them over the phone and/or email, and they still have not paid you, it’s time to hire a commercial debt collection agency to collect money from this client on your behalf. The rule of thumb is that once a client is 90-days past due paying their invoice, it’s time to hire a commercial collection agency. A professional commercial collection agency has the expertise, experience, and resources to get debtors to pay. They know exactly what tactics to use to get a client to pay the money that is owed to you and they know what rules must be followed to legally collect the debt that is owed to you. You will find that you get far better and faster results by hiring a reputable commercial collection agency than by trying to handle collections yourself or even hiring an attorney. First, do your research on the best type of collection agency to hire for your type of business and industry. Each collection agency has their own specialty. Some collection agencies have experience collecting from small businesses while others specialize in securing payment from large corporations. And, some agencies have expertise in collecting in certain industries, such as how Melton Norcross and Associates specializes in commercial debt collection for the gas and oil industry. Second, research what your state requires in terms of debt collection rules, as different states have different debt collection rules and regulations. See if the B2B debt recovery agency is compliant with your state’s laws, and that they are licensed, bonded. Commercial collection agencies don’t have the same restrictions as consumer collection agencies do. Commercial collection agencies can use skip tracing to determine your client’s location or to discover hidden assets that could be liquidated to pay you. Get Proof of insurance from the collection agency. It’s always good to have another layer of protection should the debtor make the unlikely choice of taking you to court. This type of insurance is called Errors and Omissions Insurance. The more you can automate your payment collection process, the better it will be for your business to get paid. Ensuring you get paid on time is the best way to manage cash flow. Start by taking the time to explain your invoice process to all your clients. Get a confirmation from them that they understand your process and your payment policies, such as when you send invoices each month and when payment is due. Watch for potential red flags that indicate a client will most not pay. For example, if a client owes you money and they stop responding to your calls, letters, or emails, then it would be best to stop doing any further business with them until they pay you in full for any balance they owe you. Create or adopt an invoices system where you can get a clear view of all of your unpaid invoices and their ages. Use an invoice system that automatically notifies you when a payment is 30, 60, or 90 days late. Have an automated system in place with a commercial collection agency where as soon as an invoice becomes 90 days past due it is automatically transferred to the commercial collection agency so they can begin their collections process.